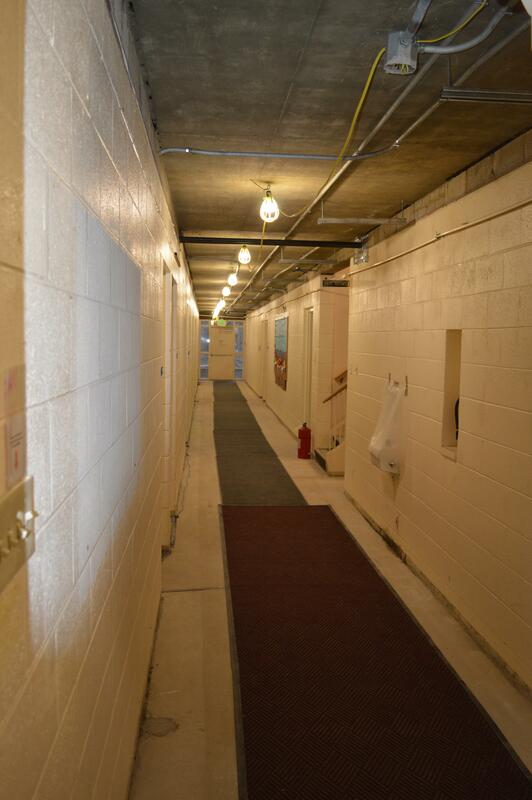 Work continues on the Ministry Expansion Plan. 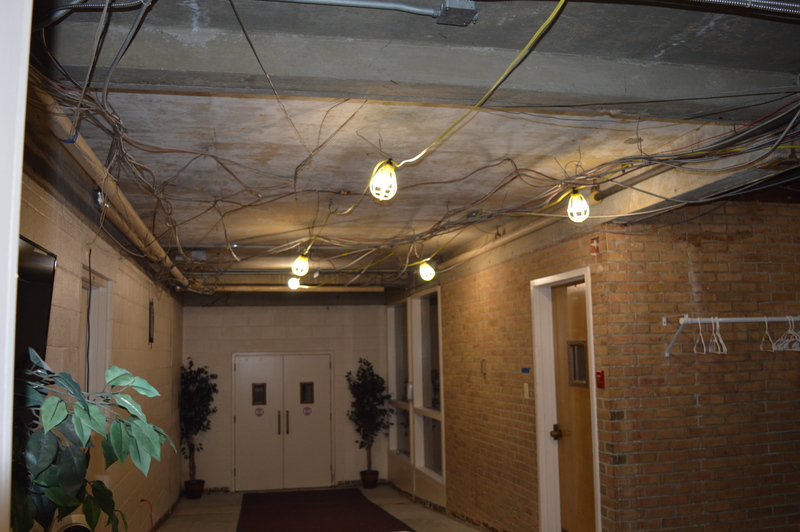 This week the ceilings in the downstairs entryway, downstairs hallway, and upstairs lobby (outside the elevator and top of the stairs) were demolished to allow the electrician to trace old and new electric service (see pics). In addition, the switchgear was delivered. (In an electric power system, switchgear is the combination of electrical disconnect switches, fuses or circuit breakers used to control, protect and isolate electrical equipment.) Because this equipment is so large, the last window on the left of the downstairs (as you are facing the building from the parking lot) was removed and plywood and plastic have been put up in place of the window. At least for the time being that room will not be accessible. Today and tomorrow (Thursday and Friday) cuts will be made in the parking lot (though no material will be removed quite yet) where new site lights will be installed in the future. 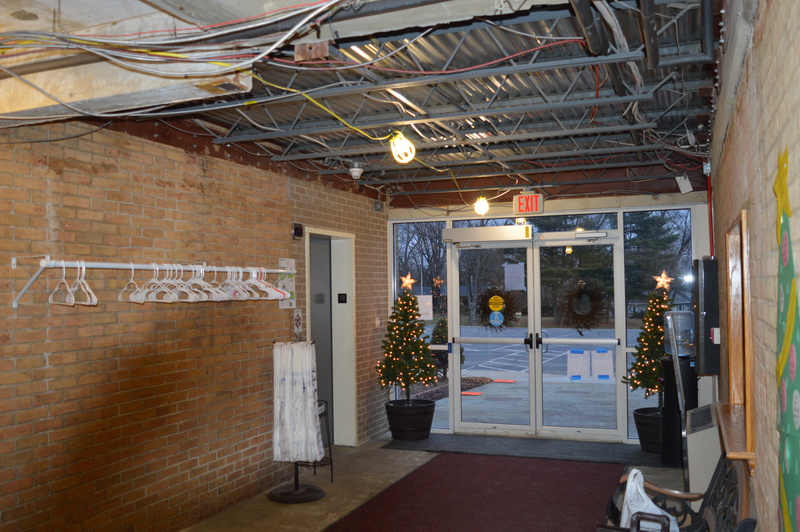 Next week the plan is to dig for the new electrical supply at the south end of the building, demo for and install the new temporary entrance that will come through the old copier room, and remove some trees and shrubs around the building. Remember to come back to the blog often for updates. Blessings!